Hello! Have you heard of Gotham Quilts? I've been following them on social media for a while now. They are a quilt shop in New York City and have recently released a free quilt pattern called "Yuma" which you can download here. Their version shown below is made with Alison Glass "Handcrafted" and I love it! I wanted to be different though so I ordered Lizzy House "Natural History" from Gotham Quilts and it arrived today so I am all set to start my Yuma Quilt. I think my kids will love this quilt made with those fabrics. You can see my Instagram photo of my fabrics here. I might have to do the Handcrafted version too though because the geese on the fabric look so awesome in this quilt design. I was invited to be a blogger in the Yuma Quilt Along which kicked off last Wednesday. Here is a link to the Kick Off Post where you can read all about the QAL and the prizes which include $100 gift certificate to Gotham Quilts and a bundle of "Handcrafted." 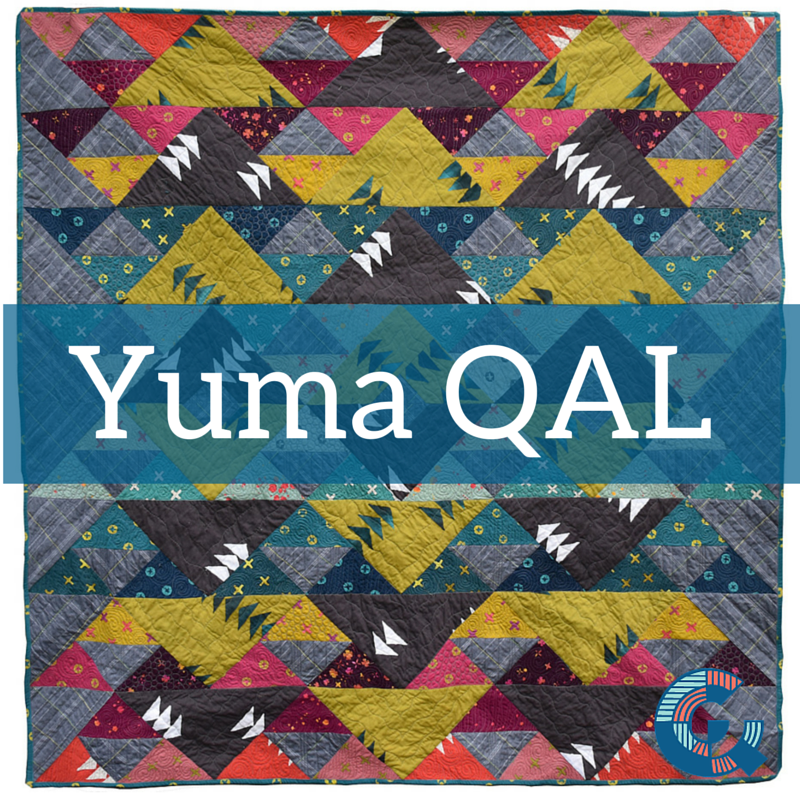 My day on the Yuma QAL is July 6th so make sure to come visit me that day when I will be showing my Yuma quilt made from "Natural History."